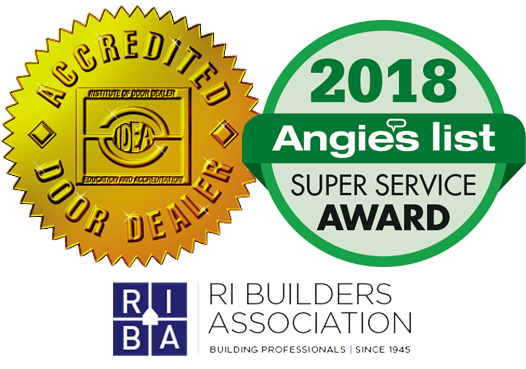 Based in Coventry, RI and serving Rhode Island (RI), Massachusetts (MA) and Connecticut (CT), Fagan Door offers custom garage doors, professional installation, and high-quality garage door repair. We never compromise quality for the sake of price. Create the perfect garage door for your home! First, simply upload a photo of your home. Then, our easy to use visualizer will help you outline your existing garage door. Choose your door model, along with colors to match your home's style. Lastly, customize your garage door further with your choice of window trim, glass, and decorative handles & hinges! Fagan Door has specialized in garage door and garage door opener solutions that enhance the exterior design and function of homes and businesses in Rhode Island, Massachusetts and Connecticut. Our products are available with a variety of features, styles, and prices to suit the individual needs of our customers. Thank you for the expedited service. We appreciate the installation date of Friday before July 4th week. Bill has been wonderful to work with. His knowledge of the products you offer and his patience are truly an asset to [Fagan Door]. Looking forward to seeing the finished product. Happy with the new garage door so far! Thank you for such prompt, excellent service all around! I just wanted to see if there was a way for me to kick a few bucks to the rep who did the install. I was a bit distracted today since the Carjon guys were cutting holes in my ceilings hah. I had some cash in my back pocket and completely forgot to give it to him. Then I spent the better part of the evening cleaning up all the cinder block dust! Let me know. He was nice. Thank you. that we even expected. The quality of the product and the expert installation, amazing. Your crew did a great job. Your firm did an exceptional job. First your office answered the phone promptly, friendly and cooperatively. This is not my usual experience and I commend you and your employees. Second, a beautiful, clean attractive truck pulled up - pride in your company is obvious and especially evident with over 100,000 miles on it! Third, I felt I got my money's worth. Most noteworthy, our tech Mike, was professional, knowledgeable and contributed additional information and assistance. It was a pleasure to do business with you and you may rely on my recommendation. I just wanted to thank you for all the help in choosing our garage door. We love it and the installation process was great. Also, Sean who installed the garage was super informative and helpful. He did a great job! Very happy with the result. Thanks! Our garage door was installed on Friday, and we love it! Also, we want to inform you that your team did a wonderful job with the installation, we are very pleased and will highly recommend your company. Hi Danielle! Just wanted to take a moment to let you know how very pleased we are with the garage doors from Fagan!! The installer was wonderful, efficient and meticulous...cleaning every smudge before he left! They make a HUGE difference to the facade of our home and we feel we got a great value for the high quality product we received! Thanks so much for your help with the process! You were great to work with and we will be sure to recommend Fagan to everyone we know! Just a note to tell you that yesterday, I had two overhead door motors installed for my daughter. I want you to know that I am more than pleased with the quick and efficient service that I received from your Company and the installers. They were both informative, efficient and professional. They did it right and they did it quickly. Their quality of work is hard to find in this day and age. Please convey my thanks to them. Good speaking with you again. The technicians you sent over today were wonderful! They arrived as scheduled, about 11:00, and were finished in about an hour. They took the time to explain what I had done wrong, and what they were going to do to make the door operate properly. They then went ahead and did exactly as they explained, though much quicker than I would have expected. They were very nice gentlemen. Just wanted to thank you for the prompt service at our residence. Your technicians were very courteous and professional, as well as the dispatchers we dealt with. Running a service business with the challenges of finding enthusiastic workers, I was most impressed with the attitude and manners displayed by the two employees. I have already begun referring your company to various realtors and business associate.